Posted January 11, 2017 by Town Hall Terrace & filed under Things to Do Around Town Hall Terrace. It’s not truly the winter until you’ve made a trip to the ice rink! Whether you’re a beginner or an ice skating pro, there’s nothing quite like spending the afternoon on a pair of ice skates with the family to signal that winter has arrived. Here are some of our favorite places in the Western New York area for ice-skating this season! Step Out Buffalo has laid out the best spots in the Buffalo area for ice-skating. There are both indoor and outdoor options, so a too-cold or too-snowy day won’t keep you out of your skates! For a true wintry experience, head to The Ice at Canalside, located in downtown Buffalo. This outdoor rink in the surging canal district is the perfect spot for skating, especially if there’s snow in the forecast. There are also other fun winter events available, too, like ice bikes, curling, pond hockey and more. This is a great spot to spend the day with the family! Rotary Rink, also located downtown, is another good option for outdoor skating. With the city lights illuminating the skyline, you’ll feel like you’re in the center of everything. Stop by some of Buffalo’s best restaurants and shops after your skate. If the weather’s too bad to skate outside but you still want to hit the ice, check out The Northtown Center in Amherst. This indoor rink is perfect for first-time skaters, and skate rentals are only $3 per pair for town residents. For an indoor option that’s also located in Downtown Buffalo, head to the HarborCenter. This is a great destination for you and the family, with lots of activities to do including ice-skate. Skate rentals are also $3, and children younger than 7 can participate in open skating for just $1.25. Whether you’re looking for a new home for just yourself, or for you and your family, we have what you need, located in the best part of the Buffalo area. Check out the available Town Hall Terrace patio homes, apartments or townhouses. Learn about some of our many amenities, and apply for tenancy today! Posted January 4, 2017 by Town Hall Terrace & filed under Things to Do Around Town Hall Terrace. Now that winter is here, so are the numerous outdoor activities that many of us participate in throughout the season. Now if you’re a downhill skier or snowboarder, you might have to head south of Town Hall Terrace to do that. However, if snowmobiling is your thing, then your fun is almost literally right around the corner. Grand Island Snowmobile Club has numerous trails you can head out and ride on to get your snowmobiling fix. They will be opening six trails very soon, so be sure to check the group’s website regularly for any updates on trail conditions and the status of opening. What’s great about the trails they offer is that many of them are very close to Town Hall Terrace. This means when you’re ready to ride, you won’t have to make a long drive just to get the trails. You can hop in your car and be there within a few minutes, leaving you with more time to ride. Now, if you are on more of the adventurous side and want to explore more of Grand Island than what is near Town Hall Terrace, Grand Island Snowmobile Club has got you covered. They have roughly 17 miles of trails that run in a circuit around the whole island. 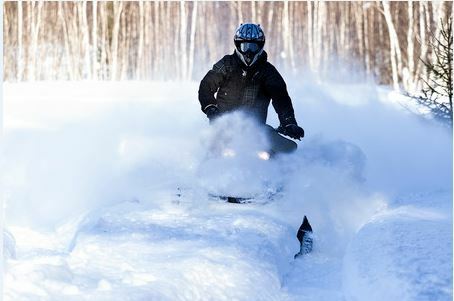 So whether you’re new to the island and want to explore or are looking for a change of scenery, the Grand Island snowmobile trails offer you plenty of options. If you’re going to ride with friends, chances are most of you are going to be tired once you’re done riding. Instead of just sending them home, invite your riding partners back to your home at Town Hall Terrace. With spacious apartments, townhomes and patio homes, you’ll have plenty of room to host your guests and let them warm back up and enjoy a break before heading back home after a day of riding on the trails. Town Hall Terrace also offers a range of amenities for residents to enjoy in all seasons, including a fitness center, clubhouse lounge and a dog park for your four-legged family members. With numerous local attractions and activities available in the area of just a short drive away, living here offers the best of country club living with suburban convenience. To learn more about our available rentals or to take a tour of our homes, call us today at 716-773-2788! Posted December 28, 2016 by Town Hall Terrace & filed under Grand Island, Things to Do Around Town Hall Terrace. 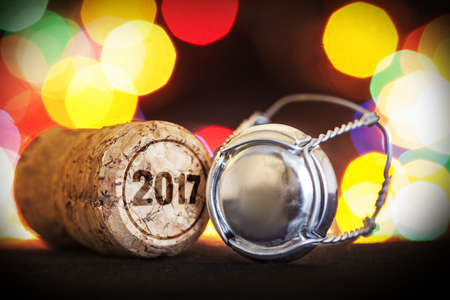 New Year’s Eve is just around the corner, and if you’re looking for something to do right here in Western New York, there’s no shortage of options for ringing in 2017. Let’s look at some of the great options just a short drive away from Town Hall Terrace in Grand Island. The Statler City is located on Delaware Avenue in downtown Buffalo, and is a popular destination for extravagant weddings and events. On New Year’s Eve, the Statler is holding its sixth annual Ice Ball featuring live music, food that will dance upon your taste buds and five hours of open bar. The bands featured in this event cross a number of genres and there’s something for everyone! There are also plenty of local hotels to choose from within a short walk of Statler City, so you can ring in the new year and not have to worry about catching a cab home. Located in downtown Buffalo, Big Ditch Brewing Company has definitely made a name for itself. It has a diverse beer selection and there’s something for everyone. Big Ditch is throwing a New Year’s Eve party this year which features beers from their excellent craft brewed selection, as well as a DJ and great food. You can even view the ball drop and fireworks at the Electric Tower from the party! Tickets are $65 a person and can be purchased online. New Year’s Eve Party at Resurgence Brewing Co. Resurgence Brewing has been a local sensation since they opened. This year they have decided to have an elegant New Year’s Eve gathering in their tap room from 9 p.m. to 1 a.m. They will have food catered by Ru’s Pierogi and BreadHive, and tickets include an open bar with a champagne toast and special beer release! They will even have special keepsake photos and other activities throughout the night. It’s a gathering you will not want to miss! Tickets are $100 per person and available online now. Ring in the New Year with a new energy and positive vibe – and perhaps a new residence. Town Hall Terrace offers a small, tightknit community that has great energy and a great location, with convenient access to and from Niagara Falls, downtown Buffalo and destinations throughout Western New York. Are you interested in finding an apartment, townhouse or patio home to rent? Call us today at 716-773-2788 to schedule a tour and to learn more about our available units! Posted November 28, 2016 by Town Hall Terrace & filed under Miscellaneous. Christmas is coming, and, that means it is time to decide where you and your family will go to pick your Christmas tree this year. Here in Western New York, there are plenty of farms where you can shop for a tree. Let’s take a look at three of the closest options for tenants here at Town Hall Terrace. Located in Niagara County, Treetop Acres has been growing Christmas trees on a compact 23-acre tree farm for 34 years. With 3,000 trees to choose from, including both fir and spruce trees, you can decide how much time you would like to spend hunting for the perfect Christmas tree. Take advantage of the choose-and-cut service and bring your tree back to your car on a sled, or have the friendly staff at Treetop Acres cut the tree for you. In addition to providing a traditional experience to guests, Treetop Acres also provides machine shaking to eliminate loose needles and a baling machine to wrap netting around your tree for an easier ride home. Looking for a holiday outing the whole family can enjoy? Visit Jurek Plantations for a family-friendly tree-shopping adventure. At Jurek Plantations, you can select from a wide variety of trees from balsam firs to Austrian pines to Colorado blue spruces. Choose to cut your own Christmas tree or buy a pre-cut tree. Plus, be sure to bring the kids to enjoy a weekend tractor ride and visit Santa while enjoying a cup of hot cocoa. At Akron Acres, you will experience more than Christmas tree shopping. Take a horse-drawn hayride to cut down your tree from the selection of Fraser, balsam, Canaan and concolor firs or buy one of the pre-cut trees available. After you find the perfect tree, stick around for some holiday shopping at the country store, sip on some hot cocoa and visit with Santa. You will also have the opportunity to visit the animals on the farm. Once you visit Akron Acres, it is sure to become a holiday tradition. Bring your Christmas tree back home to Town Hall Terrace and deck the halls with festive holiday joy. For families looking for a quiet retreat only a short drive from Buffalo, Niagara Falls and other destinations throughout Western New York, Town Hall Terrace offers beautifully kept rental townhomes, patio homes and apartments that are comfortable and convenient during the holidays – and throughout the entire year. Call us at 716-773-2788 today to schedule a tour and to learn more about our currently available inventory. Posted November 21, 2016 by Town Hall Terrace & filed under Miscellaneous. 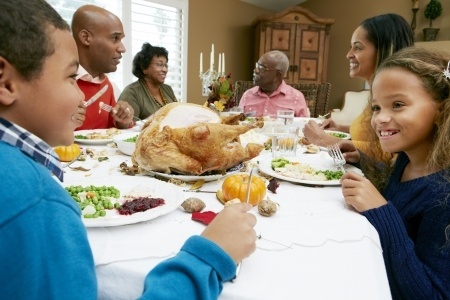 Hosting the whole family and all of your friends for a meal during the holidays can be stressful. You need to clean, make sure you have enough chairs and table space, and manage an oven schedule that will deliver each delicious dish to the table perfectly hot and on time for holiday dinner. Needless to say, we could all use a little hosting help this time of year! Town Hall Terrace is here to give you a few tips for making hosting guests during the holidays a stress-free breeze. HGTV’s best tip for hosting the holidays smoothly and seamlessly is to make a list and plan ahead! That might seem like a fairly basic tip, but mentally thinking through things and having an actually written out schedule are two different things. If you want to really be thankful this holiday season, put your schedule together in advance and keep checking it to see what needs to be prepped or baked next. Plus, by organizing your cooking and baking schedule, you can also run through your dishes and make sure you don’t forget any of the important ingredients! Another way to cut down on stress is to cook whatever you can ahead of time. If you’re serving crudité and spinach dip, for example, prep the dip and chop the veggies a day or two in advance. If your gravy recipe calls for four hours of stove simmering, whip that up ahead of time. And when it comes to pies, they keep really well in the fridge for a few days, so get those baked before the day of the festivities and enjoy your sweet dessert without the need for not-so-sweet stress. Real Simple also suggests that you stick to premade punches and bottles of wine when it comes to the drinks. Serving cocktails can be a fun way to celebrate the day with your friends, but when suddenly you’re trying to make craft cocktails for a dozen people in your kitchen as you juggle pots, pans, serving trays and everything else, it suddenly might not be so fun. Keep it simple and stress-free with simple punches and premade options. If you realize this holiday season that your home is just too small to host everyone for the holidays, check out Town Hall Terrace’s available apartments and townhouses. Our open-concept floor plans and spacious living areas will make having friends or family over for the holidays more fun and less stressful. Find out more about our currently available units by giving us a call at 716-773-2788. Posted November 1, 2016 by Town Hall Terrace & filed under Miscellaneous. We are entering that time of year when we can all look forward to getting home from a long day and getting cozy at home. To do this best, it is important to make your apartment more winter friendly and make sure you are ready to withstand the bitter cold months to come. Town Hall Terrace already offers a country club-style atmosphere with plenty of amenities, but there are plenty of ways to make sure that your winter is as comfortable and cozy as possible. It is important to check your windows during the fall to make sure that they are completely sealed. While this summer may have meant plenty of warm air and breezes, if you didn’t close your window all the way you could be getting cold drafts coming through. Check that your windows are completely closed, and if you notice any cracks or leaks or have problems closing up your windows, please notify us and we will send someone to fix it up for you! As a convenience, your heating is included with rent at Town Hall Terrace, but sometimes you might want to have one room a bit warmer than another. 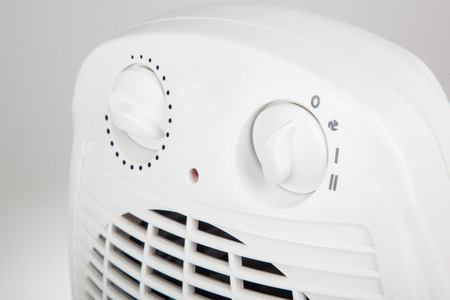 For example, if you like to keep the living room warmer but your bedroom cooler, using a space heater can help give you a boost in temperature where you need it. A space heater can make your living room extra cozy for when you have guests or for when you want to get cozy and watch a movie after a long day of work. Sleeping in cold weather can be a wonderful thing – as long as you are prepared. Flannel sheets are thicker than the cotton style that you use throughout the warmer months and can keep you toasty and warm even when it’s cold outside. Using flannel sheets is a great way to make your bed extra cozy, and choosing a down comforter on top can make sure that you never spend a night shivering or cold. There are many ways to stay warm and comfortable this winter in your apartment at Town Hall Terrace. Our apartments are located in Grand Island, and offer a fast commute to locations throughout Western New York. With our luxurious space and amenities, you can make your winter – and every season – more enjoyable, comfortable and cozy when you rent from us. To find out more or inquire about our currently available apartments, condos or townhouses, call Town Hall Terrace today at 716-773-2788. Posted September 23, 2016 by Town Hall Terrace & filed under Amenities, Miscellaneous. 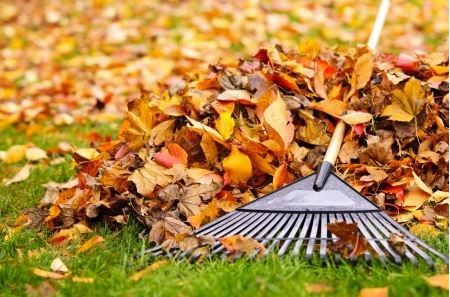 When you don’t live in a place like Town Hall Terrace where all of the outdoor chores and upkeep are taken care of for you, fall is the season to get serious about maintenance when it comes to the outside of your home. Homeowners and renters alike will be spending the next few weeks doing major chores to care for their homes and lawns before the weather turns cold and snowy, but the tenants of Town Hall Terrace don’t have to worry about a thing. Here are some fall chores you won’t have to worry about if you live here. In colder climates like ours here in upstate New York, it’s important to do a lot of lawn maintenance before the winter. Projects like aerating and fertilizing makes a big difference and protects the lawn from issues like snow, mold, compacting and dying off while it’s covered by snow. Living at Town Hall Terrace, all the mowing is taken care of for you, so you don’t have to worry about getting the lawn ready for snow season. All of these chores are in addition to the time consuming chore of regularly raking. Luckily, our tenants have a dedicated staff that will see to all of it, and make sure that the lawn and sidewalks remain well cared for and beautiful throughout the fall and winter months. During the fall season, when leaves start to land all over the lawn and the roof, it’s important to frequently clear out the gutters. This prevents built up material on the roof, which can ultimately lead to drainage issues that can cause serious water damage and rot issues. For tenants of Town Hall Terrace, our dedicated maintenance staff will worry about this so all you have to do when the leaves start to fall is get out your seasonal decorations! Another not-so-fun task that must be done when the weather starts to get a little colder is the closing of the pool. It has to be drained a little bit, chemically adjusted to withstand the winter, and sometimes even drained fully, which can take hours or even days. But tenants at Town Hall Terrace, who can enjoy the pool throughout the summer, don’t have to worry about caring for the pool. Our staff will take care of closing it so you won’t have to think twice. All of these fall chores are just a few of the many things that you won’t have to worry about if you move to Town Hall Terrace. Our tenants are our top priority, and we’re dedicated to giving you a worry-free home. We’ll concern ourselves with the upkeep and maintenance around here, and you focus on living your life to the fullest. There are a number of different rental homes available in different floor plans at Town Hall Terrace, and you can choose from the apartments, townhouses and patio homes we have available. To learn more, call us today at 716-773-2788 or apply for tenancy online now. Hockey Is Coming Up Fast! Posted September 21, 2016 by Town Hall Terrace & filed under Things to Do Around Town Hall Terrace. Hockey season is fast approaching across North America. Currently, the World Cup of Hockey is in full swing, but the NHL preseason starts early next week. Here in Western New York, everyone is anxiously awaiting the start for the Sabres. It’s a perfect time to start getting organized and prepared for the fall. So dust off your Jack Eichel jersey, put that magnetic team logo back on your car, and get ready for the new hockey season. 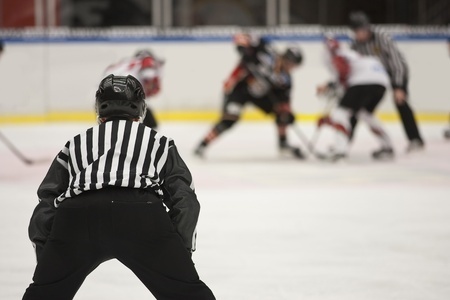 There are various things you can do to get ready for hockey season. To start, it’s time to get out all of your gear. Jerseys, floormats, wall art or anything else Sabres-centric that you own – it’s finally time to clean it off and proudly display it. Next, make sure you can watch the game before puck drop. No one wants to be channel-surfing only to find out they don’t have the game. If you’re entertaining guests, make sure you leave yourself ample preparation time, too, so that during breaks in the game play you can refill your plate or get a fresh drink. Last, while we always want our neighbors to get along, prepare yourself for the upcoming rivalries. If you’ve got neighbors who are fans of the Leafs or like to cheer for the Bruins, prepare to put down the swords – at least on the nights the teams aren’t playing one another. As the season gets started for the Sabres – the first preseason game is less than a week away! – if it’s approaching moving season for you, be sure to check out Town Hall Terrace. Our available apartments and townhouses offer a peaceful, quiet and convenient place to live, and is just 20 to 30 minutes from the Key Bank Center. To learn more about current openings, give us a call today at 716-773-2788. 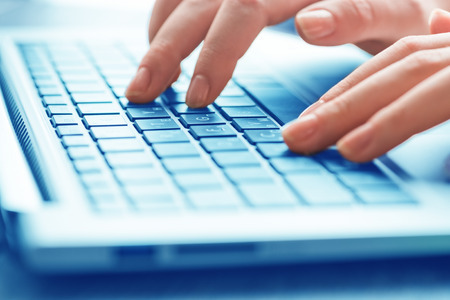 You can also apply for tenancy online 24/7 and one of our team members will get back to you as soon as possible. And, of course – Let’s Go Buffalo! Posted September 19, 2016 by Town Hall Terrace & filed under Amenities, Grand Island. Many of us prefer to work in a nice quiet space. Having a serene workspace allows us to get what we need to be done in a more efficient manner. Town Hall Terrace offers just that in our business center. When people leave their job at the end of the day, most of them like to leave work at work and enjoy their night. Unfortunately, not everyone has that luxury. When work doesn’t end when you punch out for the day, Town Hall Terrace’s business center has got what you need. Equipped with high-speed Wi-Fi, the business center is the perfect place for sending out that email that can’t wait until morning or to finish that report that needs to get done for your presentation. The business center also features a printer, so you can print out any reports or presentations that you left at work and need to look over in hard copy before tomorrow. The business center is also a great place for students to work as well. Many students don’t like spending hour after hour in an old college library and as a resident of Town Hall Terrace, they don’t have to. Students can use the business center and study, work on papers or read to get themselves ready for their next class or exam. This way they still have the quiet of a library without the distraction of other students moving about. Did you stay up all night to finish a paper or report only to find that your printer is out of paper or ink when you need it most? No worries with the business center! Before heading to class or in to the office, drop by the business center and print out what you need on our printer. Town Hall Terrace offers rental apartments, townhouses and patio homes for seniors on Grand Island, conveniently locates between Niagara Falls, Buffalo and Lockport. In addition to the business center, we offer numerous other amenities that will help make you feel at home. For more information, call us today at 716-773-2788! Posted September 13, 2016 by Town Hall Terrace & filed under Miscellaneous. Although spring is commonly known as the time of year for cleaning, the fall season creates a great opportunity to refresh your home and get ready for the upcoming cooler months. Here are some tips to freshen up your living space for fall. Although this may be obvious, use the changing of seasons as inspiration to do a thorough cleaning of your living space. Summer can be a very busy time for everyone – and it’s often beautiful outside and unbearably hot indoors – which means chances are there are some areas of your home you have been neglected. So set aside a day (or weekend depending how much work needs to be done) and give your home, apartment or townhouse a cleaning that will have it looking like new. Along with cleaning, go through and get rid of things in your home you don’t need. 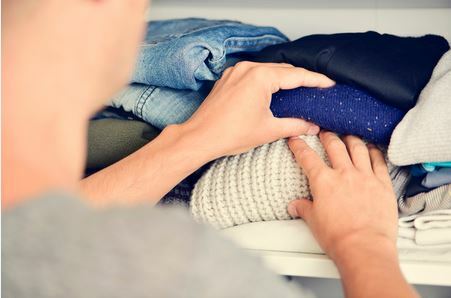 Whether you have clothing you no longer wear or items you no longer use that are taking up space, decluttering will not only make your home look better, but is a great stress reliever as well. Plus, you can also donate many goods to local charities and even receive a credit for your donation to claim on your taxes. Now that fall is coming, shorts and T-shirts won’t be getting as much use. Take the time to go through your closet and take out anything summery and store it in an armoire or another closet in your house. While you’re working, start hanging up and bringing out the clothing that will keep you warm for the colder temperatures ahead. The further we go into fall, the shorter the days are going to become. Make sure you don’t get left in the dark by making sure you have enough lighting in your home. Whether it’s adding another lamp or adding some scented fall candles, a bit of extra light will make your home a bright, warm and cheery refuge in the cold dark of fall. This fall, if you’re looking for a great new place to live, look no further than Town Hall Terrace. We have apartments, townhouses and patio homes for seniors for rent in Grand Island are that are great and affordable spaces to call home during any of Western New York’s distinct seasons. For more information, feel free to call us today at 716-773-2788!